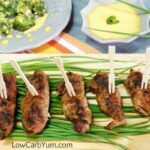 You can still enjoy sweet meat marinades on low carb. 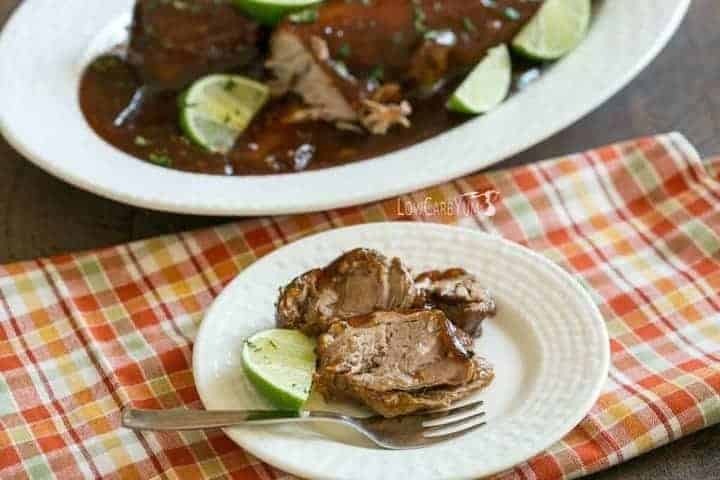 This slow cooked crock pot sweet lime ginger pork recipe is cooked in a delicious sweet sauce. I haven’t posted many pork recipes on this site. I’m more of a chicken and ground beef kind of cook. 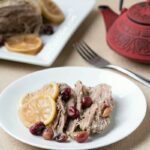 But, I saw a great recipe for slow cooker pork loin that I wanted to try. You can see the original recipe here. 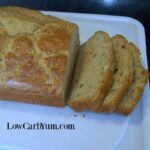 Unfortunately, the recipe isn’t low carb as it has a significant amount of honey in it. There is a pretty good low carb substitute for honey. It’s the Fiber Syrup Gold made by Sukrin. But, too much of the syrup can spike insulin, so you’ll want to use it sparingly. 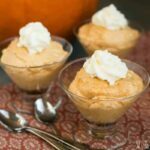 I only used a couple tablespoons of the fiber syrup in the recipe. For the rest of the sweetness, I added a concentrated liquid stevia. That keeps the carbs in check for each serving. The original recipe didn’t have to be changed much. In addition to replacing the honey, I also subbed out the soy sauce and cornstarch. Tamari is a terrific gluten-free replacement for soy sauce. If you’d rather eliminate soy all together, you can use coconut aminos instead. I find the coconut aminos a bit expensive so I do use tamari on occasion. Instead of using cornstarch to thicken the sauce, I used glucomannon powder, but xanthan gum also works. If you’d like to cut back on total carbs, you can eliminate the fiber syrup all together. You can sub it out with some more stevia or monk fruit. Or, just leave it less sweetened. The sauce really makes the dish look elegant. It covers up the somewhat ugly looking pork loins. I aways have trouble getting photos of meat. 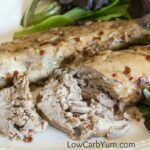 But, with the sauce in this low carb crock pot sweet lime ginger pork recipe, the photos came out pretty appetizing. Sauce really ups the flavor of meat. For another tasty way to dress up regular pork, check out the Apple Cider Vinegar Glaze on the Bacon Wrapped Pork Chops over at Low Carb Maven. Other than bacon, I really don’t eat much pork. I’m not sure why. The pork loin cuts are pretty tender and delicious. I especially love them slow cooked. 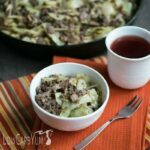 This is a pretty dish that you could take along to a gathering with friends and family. The crock pot will keep it warm. If you need to feed more than ten, you can always double the recipe. You don’t have to garnish the dish with cilantro or cut lime. 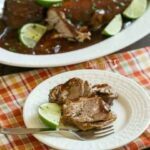 But, I think the green color really makes this low carb crock pot sweet lime ginger pork shine. Slow cooking makes the meat so tender and juicy. I just hate when pork dries out after cooking. But, not when you use the crock pot with a marinade! 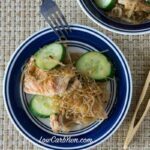 It’s been a while since I’ve made one of my favorite low carb pork dishes. That would be pulled pork! 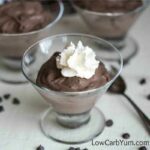 I have a low carb recipe I’ve made here, but I didn’t make it in the slow cooker. Next time I make pulled pork, it will be in either the Instant Pot or the Crock Pot. 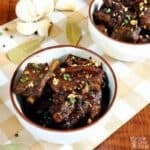 What’s your favorite meat to slow cook? 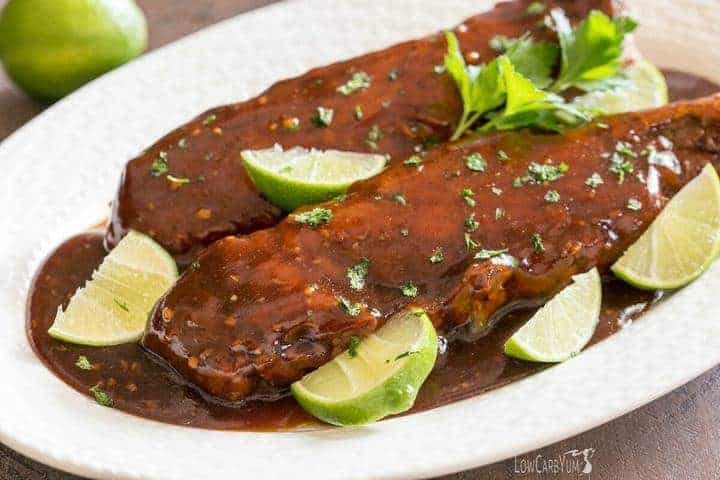 Miss sweet meat marinades? 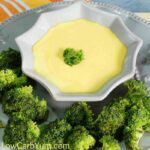 You can still enjoy them on low carb. 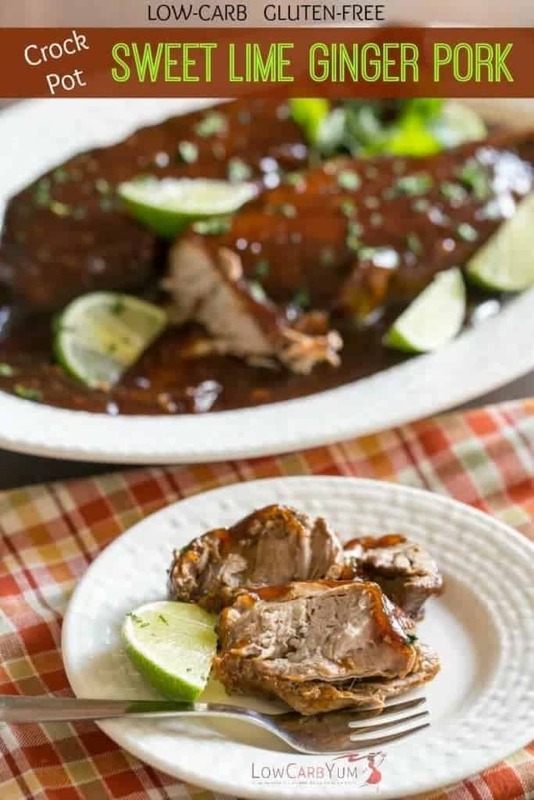 This slow cooked crock pot sweet lime ginger pork is cooked in a delicious sweet sauce. 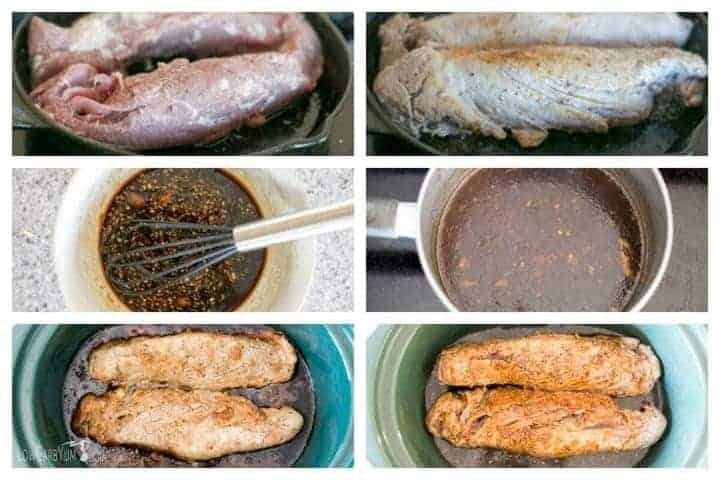 Rub salt and pepper over pork loin. Place into hot oil and sear until edges are browned. Remove from heat. Put pork loin into bottom of oval crock pot. 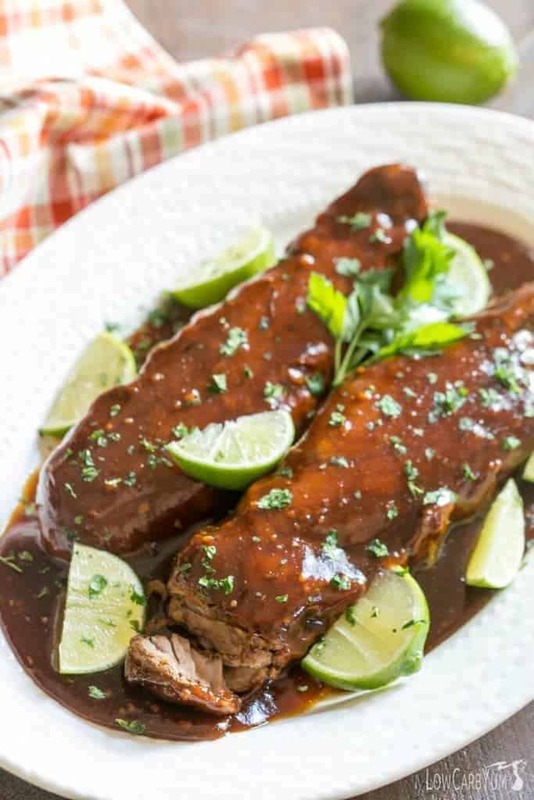 In small bowl, whisk together the sweeteners, tamarin, Worcestershire sauce, lime juice, garlic, and ginger. Pour over pork loin. Cover and cook on low for 6-8 hours or on high for 4-7 hours. When finished, place pork onto platter. Pour juices into a small saucepan. Sprinkle glucomannon or xanthan gum on top. Whisk the powder in. Cook until mix begins to thicken. Pour over pork loin. Top with fresh cilantro.